Image all of your vendors at your fingertip in one FULLY MANAGED software solution. 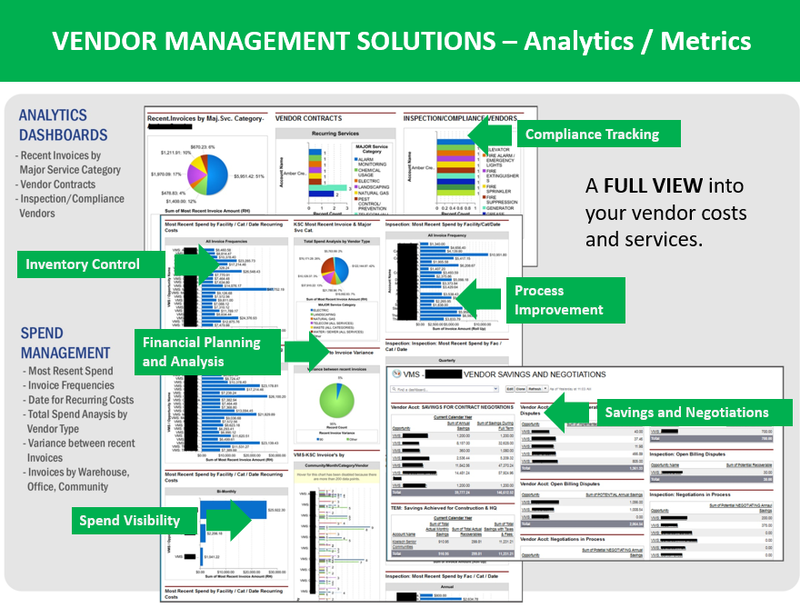 Our Vendor Management Solution (VMS) is a discipline that enables businesses to not only cut costs but also: control expenses, drive service excellence and mitigate risks…while gaining increased visibility and value from their vendors. 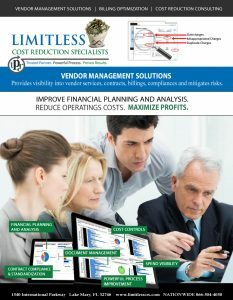 Through LIMITLESS’s on-line property management software overall vendor management, as well as – vendor expense management, is accomplished by giving you absolute visibility into your vendors and spend. No matter what the vendor or type of service they provide – property managers can have a comprehensive view into their: services, vendors, contracts, rates, terms, conditions and spends through this sophisticated web-based solution. 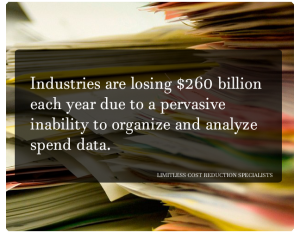 Vendor expense management with LIMITLESS allows improved tracking of not only spends but includes: document repository, inventory management, dashboards, report metrics and improved financial planning and analysis. This powerful information helps streamline the budget process, perfect acquisition modeling, improve spend accuracy and bottom-line increase profit. LIMITLESS provides Vendor Management Solutions for property managers just like yourself, who are concerned or frustrated with difficult to manage fixed and varying expenses. Web-based online FULLY MANAGED Vendor Management Solution through a cloud-based portal and dashboard. Automation is necessary in property and apartment vendor management. If you are trying to manage your vendors manually, you’ll most likely: lack visibility into performance and deliverables, waste time, and increase labor and administrative costs. By using vendor management software, your company can gain valuable insights that can increase efficiency, mitigate risk, and maximize vendor performance. Contact us today at 866-504-4050 or email LIMITLESS at info@limitlesstechnology.com to learn more about our Property and Apartment Vendor Management Solutions.